In a recent article published by Martech Advisor, Co-founder and CEO of Dyspatch, Matt Harris, talked about how email marketing edges out social media marketing. To support his assertion, he cites the Cambridge Analytica scandal that broke last year, where the average monthly Facebook ad spend dropped by a staggering 85%, going from $140,000 US in January 2018 to just $20,000 US by May. Big brands like SpaceX, Tesla, and others, made headlines by leaving the platform completely. He pointed out that while the average spend rebounded within a few months, user trust in the social media giant was, if not completely broken, then at least significantly eroded. Many users, mostly millennials, continue to leave the platform and many of those who remain are reducing both the amount of time and the amount of data they’re willing to share. While I don’t entirely agree with his premise and do believe that there is a definite space for paid ads on social media in a well designed digital marketing strategy, the hard reality is that ROI for these ads isn’t what it used to be. 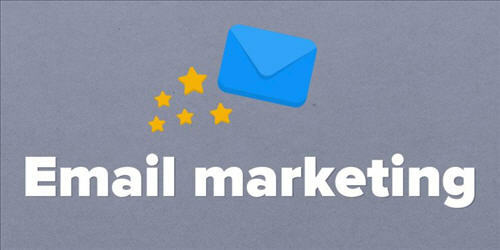 Conversely, targeted, segmented and highly nuanced e-mail marketing, is now exploding with potential ROI growth. Your Customers WANT your emails. Consumers are growing more and more distrusting of ads on social media while others simply find them annoying. Regardless, paid ads on social media lose their luster when your target audience stops watching/consuming . However, once a customer has opted-in to receive your emails, they truly want to hear from you. In fact, recent research revealed that 47% of consumers prefer email for brand communications, compared to 17% who prefer display ads, 14% who prefer text messages, and 12% who prefer mobile app notifications. Social media? It came in last place at just 10%. How does this impact you as a skilled nursing or healthcare provider? When you have 1 tired hospital screener/marketer/concierge driving around all day, in a company car, on your dime (including gas and tolls) and you have no idea where the heck he/she is (short of installing an unobtrusive hidden GPS detection system on the car), much less why your Medicare census still isn’t where it needs to be, given his/her supposed efforts on the ground, it’s time to consider an e-blast. Imagine for a second, the power of sending a beautiful, relevant, timely and targeted e-blast to the combined 300 Doctors, hospitalists, social workers, case managers and post-acute care coordinators at your local feeder hospitals, who literally influence your census, to announce your introduction of a new Telemedicine program! Even if they don’t open the email, subliminally, you’ve just re-inserted yourself into their minds and covered for your sleepy (or overworked) liaison who is either resting in a Dunkin donuts on your dime, or not in the hospital that’s about to dc a post-acute patient to your competitor. “Out of sight, Out of mind” ..and I promise you, that social worker isn’t on Facebook looking at your exciting sponsored ad just as they are about to direct traffic to the facility around the corner from you. Sky Care MEDIA is heavily engaged in social media uploads and engagement for our clients. However, we are pushing e-blasts too and we do a great job with it. It is frankly mind boggling to me when we have to beg folks to collect email addresses (a definite prerequisite) and get excited about the prospect of e-blasts. Those who are not currently leveraging this platform to send emails (1x every few months is fine too, as you don’t want to hassle people who will then become upset with your facility and unsubscribe and you also don’t want to send out silliness and stupidity), are missing out BIG TIME.